Last Thursday, Jamie and I attended one of the most amazing concerts. This was my sixth time seeing Eric Church perform live. He is so much fun to watch and his music reminds me of small town living, not that Green Bay is that small, but rather the small town mentality. I know what a lot of you are thinking – “I don’t like country music”, “This is a silly post”, “What’s up with the mustache” – but honestly just give it a listen. My favorite song on his new CD is Carolina, and not because of the name, but I also like Hell on the Heart and Ain’t Killed Me Yet. Give it a listen and pay attention to the lyrics – he has some good lines. If you don’t like it, fine, but you got to try it at least once! 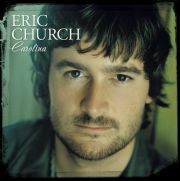 Listen to all his music at http://ericchurch.com/index.htm?id=15173&inc=7&album_id=1189. That mustache makes him look like a total child molester.